For former UFC heavyweight champion Fabricio Werdum, a day at the beach turned into something a little more serious when he found himself coming to the rescue of a teenager caught at sea. Werdum recounted the story to AgFight.com. He said he was at the beach for about an hour with his family, including wife Karine, near his home in Torrance, Calif., when the local fire department arrived on the scene to rescue two teenagers from drowning off shore. The fighter jumped into action when he noticed there was only one lifeguard on the scene attempting to rescue the teens in distress. "When we saw the fireman's car, the car stopped in front of us. I said I was going to help, and Karine wasn't sure, because it was dangerous," said Werdum in Portuguese as he related the incident to Brazilian website AgFight.com. "But when I looked, there were two tiny heads at sea yelling ‘help.' They were very far, about 70 meters away. When the lifeguard grabbed the board by himself, I took off my coat and ran. I took the orange floater, threw it across my chest, and I arrived with him, a little further ahead even. I told him to get the girl, who was screaming a lot, and I got the boy, who was already limp. I was able to get him, and we swam toward the beach. ... Then, at shore, an old man helped me. The waves were big. The girl sank about three times." Back on the beach, Werdum's wife captured video of him walking with the boy after helping safely to shore. 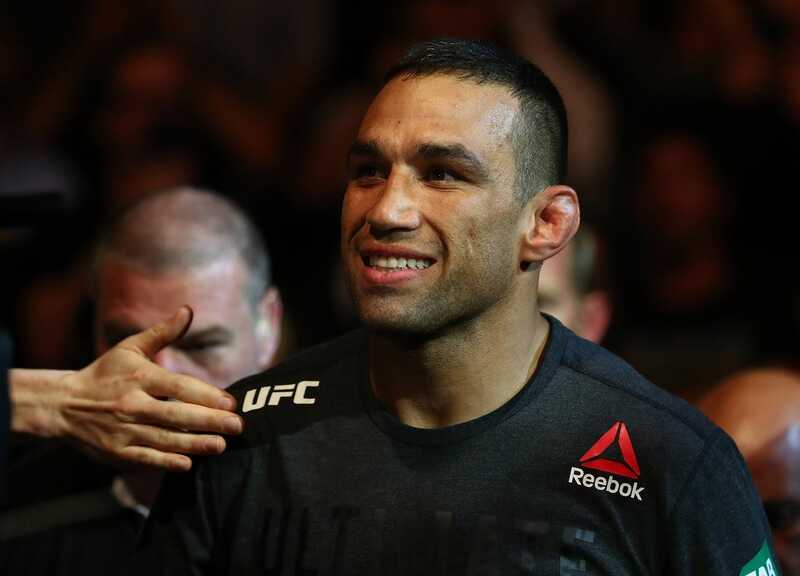 "Wow, my heart was beating a million," said 41-year-old Werdum. "It's an extreme situation. The heart goes to a million. It's worse than a fight. It's not even close." Werdum, who was last seen in the octagon in March 2018 in knockout loss to Alexander Volkov, is currently serving a two-year suspension after being flagged for banned substances by the U.S. Anti-Doping Agency in May of 2018. He recently requested his release from the UFC.